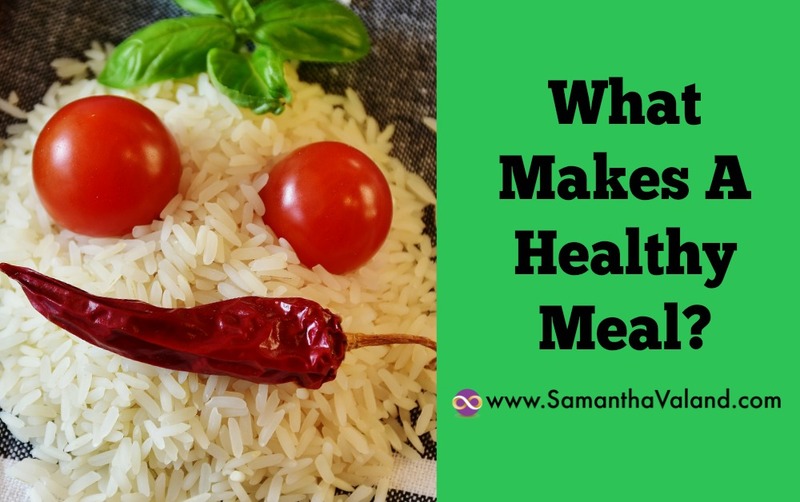 What makes a healthy meal is not what I want to talk about. However, what makes a healthy meal for you is! There is so much information available to us these days, but it does not seem to help us to be any healthier. Most menopausal women struggle with both their weight and waistline. This can be due to both hormonal changes and also lifestyle changes as well, often caused by the hormonal changes such as not sleeping well and cravings. We know calories are important, but do you know how many calories you need specifically? Your Basal Metabolic Rate or BMR is a calculation of how many calories you will use up just sitting about. Your weight is used for this calculation. We then add in activity levels, which is subjective. How active you are during the day as well how often you exercise both come into this figure. If you have a fitness tracker, it may be able to help you here. I know that the calories I burn can vary from 1800 to 2400 calories depending on what I am doing, so taking an average is important rather than using it on a day to day basis. If you are exercising, you will naturally want to eat a bit more carbs to replace the energy spent, but do so sensibly! How do you spend them? Do you know how you spend your calories? The hot spots are often liquids such as shop bought coffees and alcohol. Post dinner snacking can soon add up to. We can become more sensitive to carbohydrates as we go through the menopause. Carbs can be found in veggies as well as obvious foods such as bread, rice and pasta. It is a necessary part of our diet and we need carbs for energy. Not enough carbs can affect sleep so it can be a fine line. The Metabolic Effect has a quiz on carbs sensitivity; you can click here to take part. It is a great starting point on find how much you should have on a daily basis. The Glycemic Index diet is also useful for ratings how quickly the sugar in your foods will be absorbed. The slower the better! The above two points: carbs and calories are specific to you and what you need and are a foundation to a healthy diet. Get into the habit of checking food labels for the context of how many calories in the serving you are planning to have and if you wish to spend that amount today. In the same way, you would do with a handbag. Is it an everyday purchase or an occasional going out purchase! A quick calculation of the hormonal carbs figure using the food label. This is good for your brain to do some mental arithmetic too, so bonus points for this one! For the serving you intend to eat, subtract the fibre and protein from total carbs figure. If you have taken the earlier burner quiz, you will have an idea on your sensitivity to carbs. If you are a sugar burner then 5 or below. For mixed burners 10 or below and then muscle 15 or below. How does your meal make you feel afterwards? If we are working towards a healthy diet for you, then how do you feel after your meal? Satisfied and it keeps you going for hours or hungry an hour later? Little and often usually works best with the menopause but be objective if a meal is good for you or not personally. If you have to eat the same amount of calories in a snack later, you are not hitting the spot of healthy eating for you! Keeping a food diary is a great way to spot pattern. It may be a particular time of the month, that is causing a wobble and you may need to eat differently. Click here for a period tracker to help you work out your monthly cycle. How does exercise and activity affect you? Is it a snowball effect when you skip breakfast, which influences your lunch choices, that then influences your dinner choices? We have so many food options available to us, which I am grateful for. However, we need to keep in mind, just because something is marketed as healthy, it does not mean it is healthy for you specifically. Keep it simple and think: calories, carbs and kick-back!